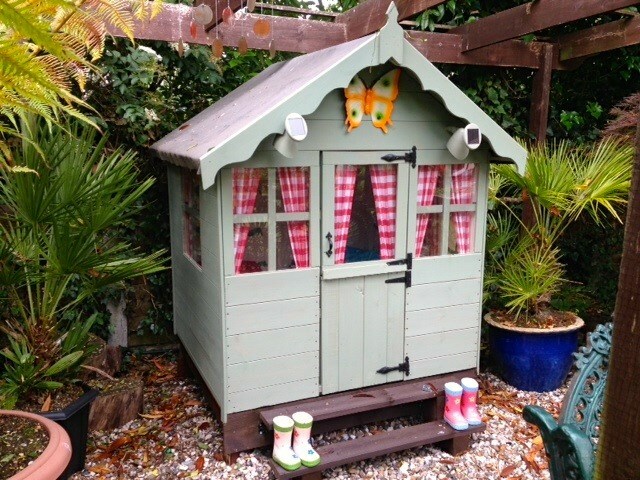 The Bunny Playhouse from the BillyOh Bunny Playhouse Collection, is the perfect choice to make your children’s playtimes even more enjoyable. 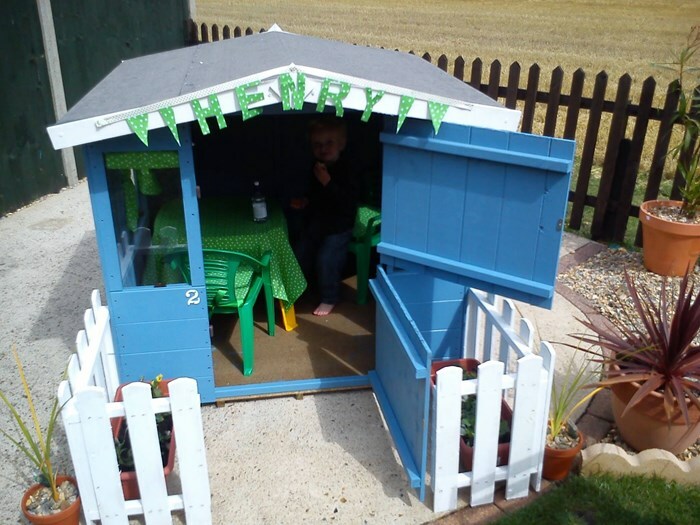 Inspire their imagination and provide them with hours of fun with a fantastic place of their own right in the safety of your garden! 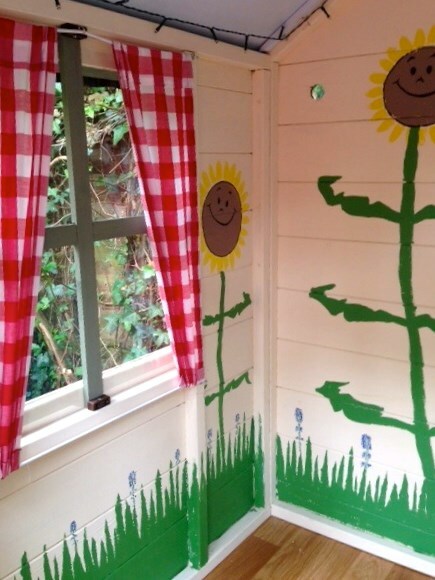 The Bunny Playhouse offers a fun place for children to play, learn or even relax. Plus, they can make all the noise they want! 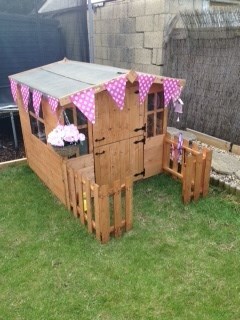 With a cosy interior, this playhouse will soon become their favourite place to be. 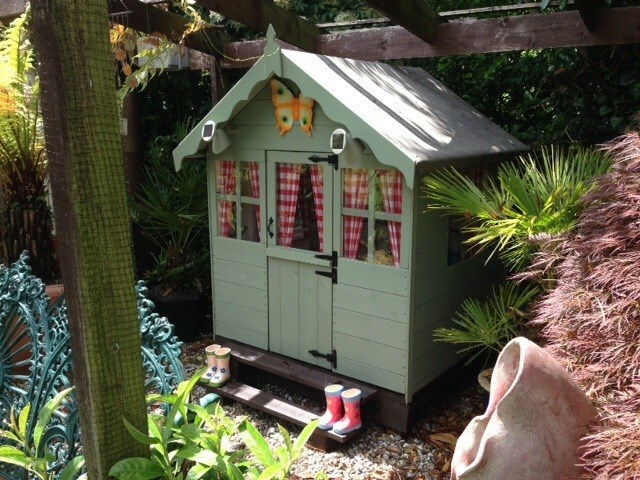 This charming playhouse is designed in a traditional cottage-style which suits any type of garden. Take them into a fairytale land with a cottage just like the ones from their favourite fairytale stories. 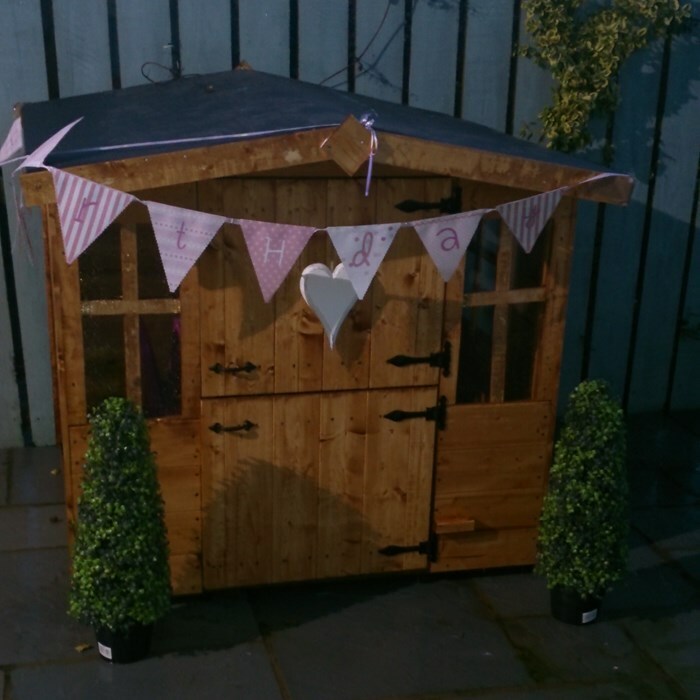 The Bunny Playhouse is built using high-quality materials, making it a worthwhile investment for your garden that is guaranteed to be long lasting. 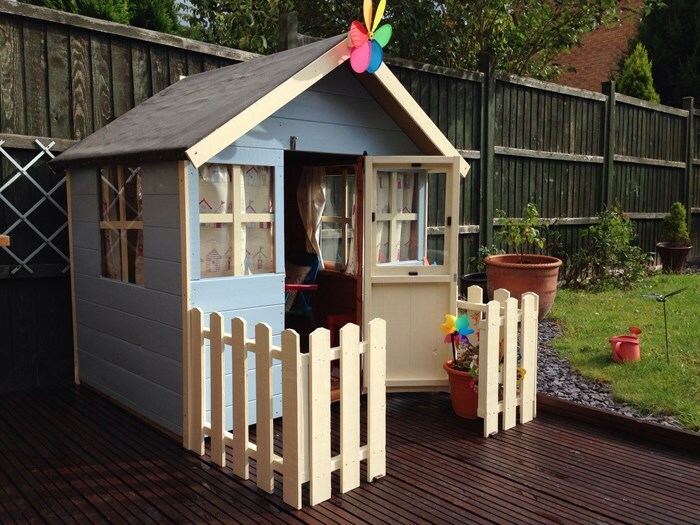 p>The Bunny Playhouse has all the charm of a fairytale cottage, but for added character, we offer you a choice of two picket fences that will really make your building stand out. Choose from picket fence option A, for added character. The two side fence sections are 1ft11"/586mm wide. The two front fence sections are 1ft/293mm wide. Alternatively, you can opt for picket fence option C, designed for adding extra style and charm and perfect for keeping toys together in one place. The two side fence sections are 3ft10"/1172mm wide. The two front fence sections are 1ft/293mm wide. 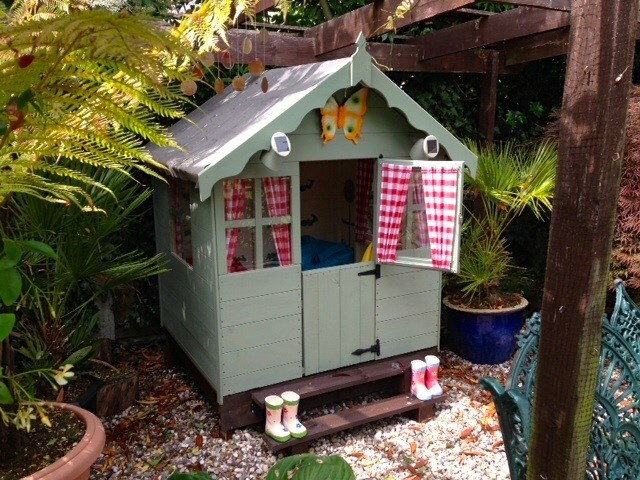 In order to keep your playhouse a light and airy space for children to play in, the Bunny Playhouse features four, cottage-style windows and a stylish stable door. The windows are glazed with styrene material which enables them to be strong and durable as well as being easy to clean. This means little maintenance is required. The Bunny Playhouse is constructed using a hugely popular tongue and groove construction. 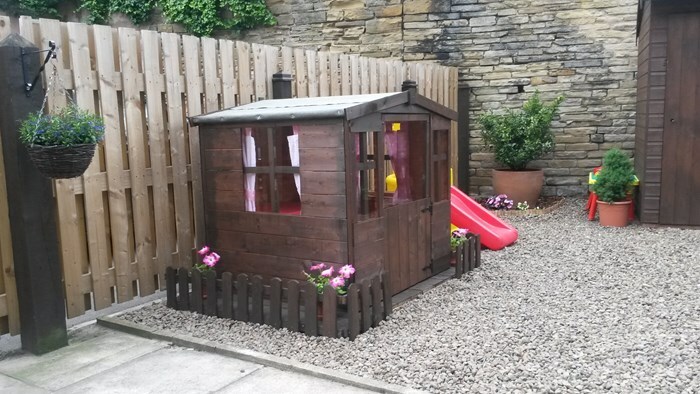 The panels are pre-engineered to interlock together, which gives the playhouse it’s great strength, as well as providing a rustic, all-round smooth finish. 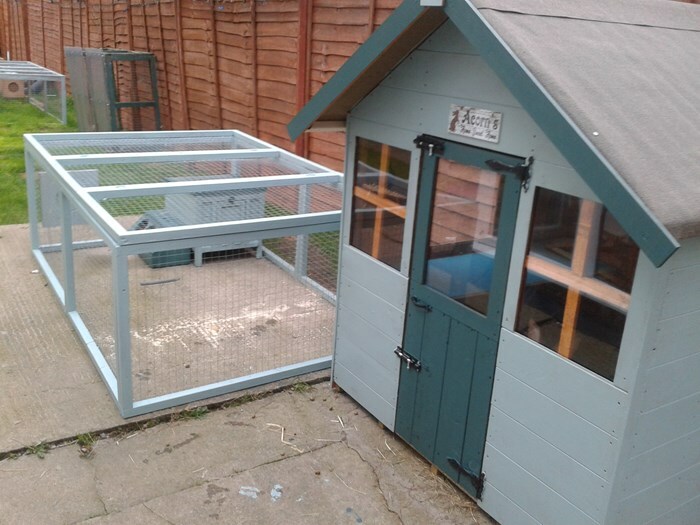 As the panels interlock together, they give the Bunny Playhouse great protection from the elements, and black sand felt roof stops water from entering the unit. 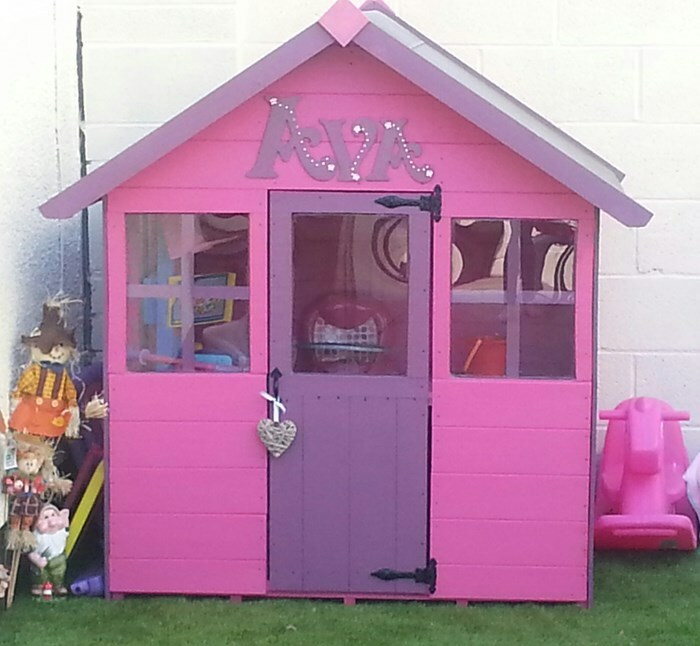 A solid sheet roof is provided with your playhouse. This is pre-cut and is easily attached using the fixings, for a quick and easy assembly. 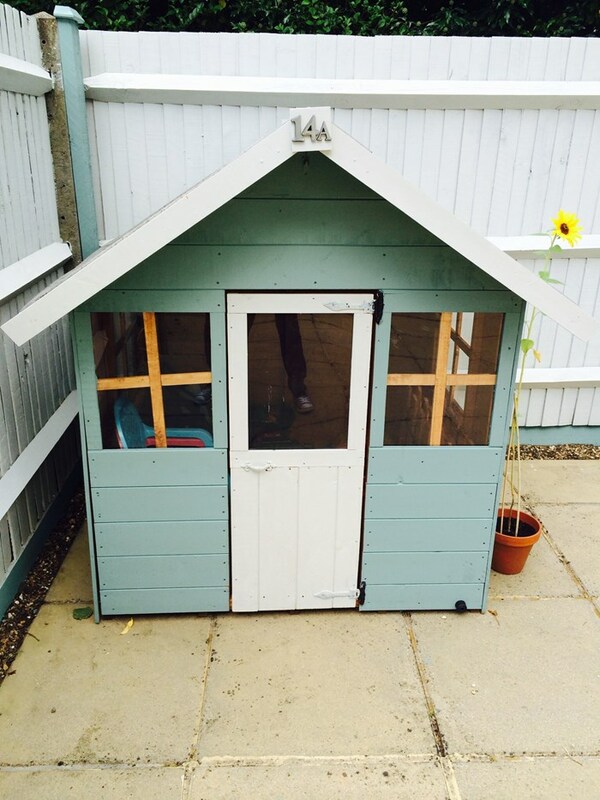 We also supply a solid sheet floor as part of our standard Bunny Playhouse package. The floor comes pre-cut to size and is simply attached onto the floor joists, so all you need to do is lay it on the floor and build your way upwards. Eaves Height (Inc Floor) 104.5cm 3'5"
Ridge Height (Inc Floor) 118cm 3'10"
Ridge Height (Internal) 111.8cm 3'8"